Democrats will counter with a government shutdown. The money in included in the fiscal 2018 Department of Homeland Security appropriations bill, which is up for a subcommittee vote on Wednesday. The $44.3 billion measure pays for a broad array of federal security programs, including aviation security, border and immigration enforcement, customs, cyberterrorism protection, drug smuggling prevention and natural disaster response. 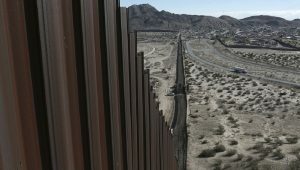 The move will appease Trump and conservatives, but will likely set up a spending showdown with Democrats, who have pledged to block spending legislation that funds the wall.